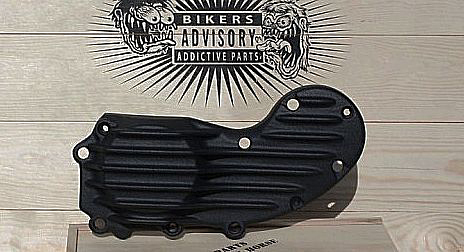 SPORTSTER RIBBED CAM COVER 91 TO 15 ALL BLACK <p> </p>.
. there's no need to mess with the cam blocks at all.
. You can even trim your OEM cover to follow the lines of the EMD piece and get the best look for your XL engine.
. Shipped with 3 longer bolts and spacers to perform the installation, the covers will fit all ‘91-’14 XL engines (make sure to specify if your bike is before ’91).
. The Ribbster cam covers are available in four finishes: Raw, Semi Polished, Black and Black.